worms need som,e kinmd of random respawn counter, as it is if they sit closely to your spice your screwed. Don't worry, they have been nerfed to death in the playtests. Reduced speed, reduced aggressiveness, they spawn less often, and most importantly - thumpers are now in the game, which counter the worms hard. No, worms were pretty bad in the original. 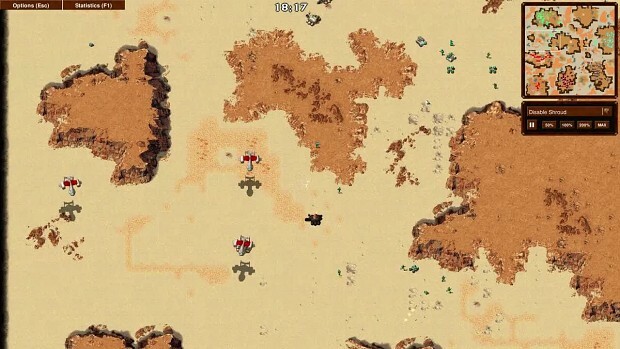 A major focus of the upcoming releases is adding the missing pieces to the Dune 2000 mod.